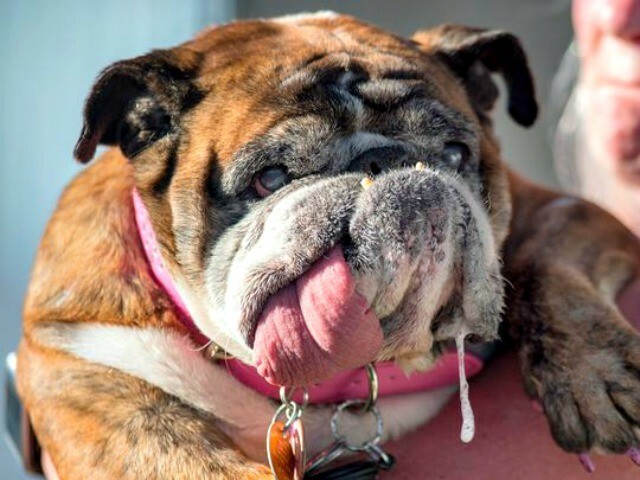 A 9-year-old English bulldog was crowned the winner of the 2018 World’s Ugliest Dog contest in the San Francisco Bay Area on Saturday evening. Zsa Zsa won the title at the Sonoma-Marin Sonoma-Marin Fairgrounds in Petaluma. The hound’s owner, Megan Brainard of Anoka, Minnesota, walked away with a $1,500 prize.